Competition for tech pros skilled in cloud technologies is fiercer than ever, according to a new report in The New York Times. In Silicon Valley, six-figure salaries are common for those with backgrounds in cloud infrastructure; data from the Times suggests that anyone with five years of experience can earn an annual salary of $300,000 (if not more), sweetened with stock options and other perks. Workers with the right combination of skills, meanwhile, face a near-constant barrage of recruiting phone-calls and emails. In a highly competitive environment such as the Bay Area, however, salaries only go higher. Over the past year, other tech hubs such as Boston have undergone similar hiring binges, as companies large and small seek the cloud professionals who can help them build out next-generation services. The post Competition for Cloud Pros Fiercer Than Ever appeared first on Dice Insights. According to new data from the U.S. Bureau of Labor Statistics (BLS), tech-industry unemployment hovered at 2.6 percent in December 2015. That’s a notable decrease from November, when the BLS plugged the rate at 3.4 percent. Unemployment within the tech industry fluctuates throughout the year in response to external forces, including seasonal workers. Throughout 2015, the rate of voluntary quits also remained high, as many tech pros left their jobs to pursue new opportunities. That being said, not all tech-industry categories are created equal. In any given quarter, the unemployment rate for programmers or computer systems analysts might rise, for example, while falling for software developers and information systems managers. Manufacturing has remained a relative bleak spot in the tech industry’s employment ledger for quite some time, as the combined forces of offshoring and automation force reductions in U.S. headcount—if not factory closings. The latest annual salary survey by Dice also suggests that tech professionals are enjoying a sizable increase in pay, with average salaries rising 7.7 percent last year. But again, not every pro saw the same increase; those specializing in skills related to Big Data or the cloud, most notably Cassandra, Cloudera, OpenStack, and CloudStack, saw double-digit percentage increases in their salaries, year-over-year. Average salaries also varied on a state-by-state basis, hitting the six-figure mark in seven markets for the first time in Dice’s annual study. We’ve built an interactive map that shows you were salaries have grown the fastest. The post Tech Unemployment Stays Low appeared first on Dice Insights. Many U.S. cities hope to become technology hubs, and with good reason: A dynamic mix of startups and mature tech companies not only brings a massive influx of tax dollars, but also hordes of well-educated, highly skilled tech professionals. 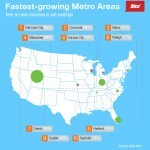 But which cities are succeeding at building up demand for tech pros? A new analysis by Dice reveals that, over the past year, Salt Lake City has seen an 85 percent increase in the number of postings for tech jobs in the area. Far behind at second was Cincinnati, with a 44 percent increase year-over-year, followed by Miami (41 percent), Milwaukee (24 percent), Kansas City (18 percent), and Raleigh (17 percent). Other cities in the top ten included Detroit (16 percent), Hartford (13 percent), Seattle (12 percent), and Nashville (11 percent). E-commerce retailers, video-game developers, and some large software-makers all boast a strong presence in the area around Salt Lake City, drawn by a combination of low taxes, local schools producing skilled workers, and infrastructure to support businesses and lifestyles. Other cities on the list, such as Raleigh and Kansas City, have similarly grown tech hubs thanks to a combination of nearby universities, advantageous tax rates, affordable housing, and communities that make people want to stay. Many of the cities on this list also have the advantage of being relatively new in their attempts to foster tech communities; once they become mature markets, along the lines of Silicon Valley, the high-percentage growth tends to level off. Nationwide, the economy for tech pros remains strong. In August, according to the U.S. Bureau of Labor Statistics, roughly 507,000 people in Professional and Business Services (which includes tech and STEM positions) quit their jobs, up from 493,000 in July. (It’s also a notable increase over August 2014, when 456,000 professionals voluntarily quit.) A rise in voluntary quits suggests that tech pros feel good enough about the economy to either jump to a new position or try their hand at freelancing. For tech pros, the numbers add up to an optimistic message heading into 2016. With more tech hubs emerging across the United States, there’s an ever-higher chance that their ideal job waits only a short distance away. The post Dice Report: Fast-Growing Cities for Tech Pros appeared first on Dice Insights. 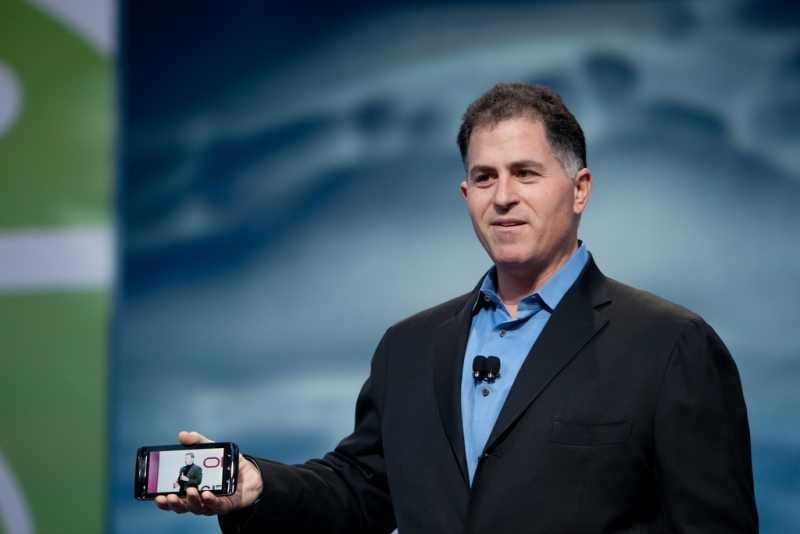 Dell Inc. announced today that it has inked a deal to acquire cloud computing and big data company EMC Corporation. Which certifications provide the biggest bang for your buck? While some key IT certifications can boost your career, you shouldn’t ignore the ROI that comes with certification programs that focus on non-technical standards and skills. Thanks to an average salary of $109,405, the PMP is the fourth-highest-paying certification and the highest paying non-security related certification, according to training firm Global Knowledge. For instance, the CAPM covers project communications, stakeholder management and time management—and you don’t need hands-on experience to qualify. The PMI-ACP will increase your familiarity with various approaches to Agile, such as Scrum, Kanban and Lean. For $300 to $500, tech pros can get study materials and practice exams, and take the CAPM test. The exam cost for the PMI-ACP ranges between $435 and $495; the salary for certified professionals is about 28 percent higher than for non-certified professionals. Although you’ll need to pass five “books” and amass five years of management experience to score a master ITIL certification, someone involved in management or development can still increase his or her worth by obtaining a more entry-level ITIL v3 Foundation level certificate, according to Kirsten Lora, senior product director for Business Skills and Training at Global Knowledge. The cost of self-study training materials, practice exams and the certification test for the Foundation level is less than $500. The exam takes about an hour, and in return, you can expect a salary increase of $3,000 to $5,000, Tittel said. Boot camps can be pricey, so if your employer won’t pick up the tab, consider self-study and paying $300 to $500 for an instructor-led review course. The exam costs range from $440 to $750. By the way, the CRISC was the top-paying cert in Global Knowledge’s survey with an average salary of $119,227. Knowledge of security essentials can bolster your personal job safety, as more organizations than ever are focused on weaving additional protections into their respective technology stacks. With an average salary of $110,603, a CISSP certification can increase your paycheck, but it requires several years of relevant work experience. Entry-level, vendor-neutral credentials such as the CompTIA Security+ and GIAC Security Essentials (GSEC) don’t require previous experience, although the GSEC exam is quite a bit more expensive than the Security+ exam. Pay value for the CompTIA Security+ certification has grown 40 percent over the last 12 months, according to Foote Partners; a self-study package and exam will set you back about $500. With some 93 percent of companies utilizing the cloud, both experienced and aspiring network, storage or data center administrators can enhance their resumes by completing a vendor-neutral program such as CompTIA’s Cloud+ or Cloud School’s Cloud Certified Professional. Most cloud certifications are relatively new, so the specific salary impact and ROI are difficult to measure. Even so, you can buy a study guide for Cloud+ on Amazon and take the exam for around $400. The cloud was one of the highest paying skills in the Dice Salary Survey (PDF). The post Non-Technical Certifications for Tech Pros appeared first on Dice Insights. The competition throughout the cloud industry has resulted in affordable suites for organizations. Certain vendors such as Microsoft, RedHat and VMware have made strides to offer adopters low total cost of ownership for their cloud solutions. 451 Research's latest Cloud Price Index: Private Edition discovered the costs of these companies' private models are $0.10 per hour, higher than the $0.08 for OpenStack counterparts. However, firms using the former can hire 3 percent more engineers because there is an apparent skills gap impacting OpenStack deployments, contributing to a higher TCO as a result. William Fellows, vice president of 451 Research, said the Cloud Price Index is an opportunity to educate adopters when comparing solutions for hosting workloads and applications or considering the pricing differences between vendors. He added that adopters can access accurate information related to cloud-based pricing to determine if vendors offer dividends or charge clients taxes. Amazon – a company not mentioned in the 451 Research report – is the vendor that all other brands are trying to gain market share from. A separate survey conducted by the research firm found 57 percent of the more than 1,500 IT professionals polled are using Amazon Web Services for their Infrastructure-as-a-Service needs. Another 35 percent of respondents cited AWS as the most important IaaS provider. "While the 2015 Vendor Window for IaaS shows Amazon Web Services as the clear leader based on multiple metrics, Microsoft Azure, Rackspace and VMware's vCloud Air are becoming competitive challengers," said 451 Research Senior Vice President Michelle Bailey. Microsoft Azure in particular has gained significant traction among enterprises. The 451 Research survey discovered 42 percent of respondents have adopted the solution and 20 percent of IaaS users cited Microsoft as the most important vendor in this sector. Rackspace is another vendor that is competing head-on with Amazon. The company is commensurate with AWS in terms of customer fulfillment and service-level agreements, 451 Research found. "As more mainstream customers move business-critical workloads to cloud environments, the decision criteria for evaluating potential vendors change relative to early cloud adopters, and in turn so do the vendors under consideration," Bailey suggested. With so many options to consider, organizations planning any cloud deployment should try to find a way to compare the available services prior to launch. Doing so provides adopters insight into how their businesses will succeed when critical assets are transitioned to cloud environments. Some solutions may be less expensive and offer lower TCO, but perhaps operational efficiency is more challenging than the alternatives. 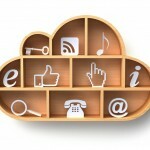 It is important to find out which cloud suite is the right fit. Organizations that want this necessary insight should seek the help of managed service providers that use cloud migration tools. 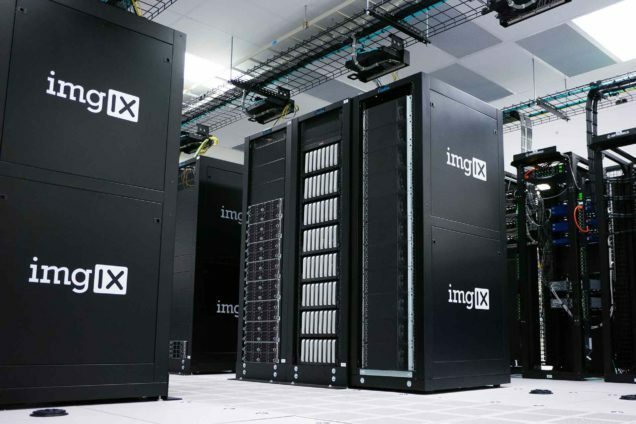 These systems enable MSPs to determine how applications, servers, networks and data centers perform in hosted environments prior to deployment, making the most informed decisions possible to make sure clients maintain efficiency during the entire implementation process. The post Microsoft, RedHat and VMware offer attractive total cost of ownership appeared first on RISC Networks. The uses of cloud computing have evolved over the years, advancing from cost efficiency, productivity and data accessibility to more critical strategies. Information-Age's Ben Rossi reported organizations now want converged cloud environments to deliver new services and applications to market. This capability is essential for helping brands establish a competitive advantage over their industry rivals. The emphasis on converged cloud computing has not replace other considerations for using the technology completely. Rossi wrote companies still want the ability to scale operations to meet ever-changing demands. This desire will remain in 2015. As a result, vendors should offer consulting services to remain competitive in the cloud field this year. Rossi indicated service providers may want to communicate with clients on their current IT spending plans, determine their previous spending goals and how these will change throughout 2015. Vendors that do not take this approach will struggle to effectively predict demand and determine how markets are changing based on these analyses. What are the trends surrounding converged cloud market? Cloud computing has constantly shifted over the years, not only from how businesses leverage the technology, but to which models – public, private or hybrid – are en vogue. Today, it appears hybrid environments are among the most influential trends to the converged sector. Rossi explained hybrid suites are driving the growth of certain technologies including flash. Hybrid models, on-site private solutions and software-defined architectures can benefit from converged clouds because they offer automation and SD-network functionality. For vendors and resellers to take advantage of these tools and trends, Rossi indicated both parties will have to work with one another to deliver IT- and-cloud consultancy. Regardless of cloud model, security is often at the forefront of any implementation. Rossi emphasized this point, noting vendors and resellers must make sure cloud environments function simply and securely. Otherwise, breaches may occur, leading to compliance fines, unwanted news coverage and loss of trust among clients and customers whose data is exposed during these incidents. As Rossi touched on, the traditional and popular reasons behind cloud computing adoption are not going anywhere. The desire to adopt the service to facilitate productivity and reduce operating costs is still strong even as more firms look to converged environments. A Tata Communications survey discovered 85 percent of organizations believe the cloud has matched the hype, with nearly one-quarter of respondents asserting the service has exceeded their expectations. A similar percentage of companies have experienced unexpected advantages, including productivity, improved data access and cost reductions, eWEEK reported. In an interview with the news source, John Hayduk, chief technology officer of Tata Communications, said cloud solutions are supporting IT standardization practices. 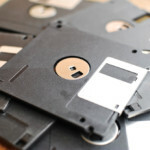 "So tasks like creating a server can be done virtually, and not require any real human intervention to connect or install a server," Hayduk told eWEEK. "In the cloud application space, you simply have to create a commercial relationship to get access to the service and start using. Gone are the days of getting software, installing it, testing it, and then rolling it out to your user base." Managed service providers looking for a leg up on the competition when helping clients transition to cloud suites should consider incorporating cloud readiness tools into their offerings. These solutions enable MSPs to determine how customer IT infrastructures will perform in cloud environments before launch, identifying any challenges that may harm efficiency and finding a suitable alternative. With the market heading toward more converged cloud assets, MSPs that can support clients' demands and help them successfully and securely implement new cloud applications will be the ones leading their respective industries by keeping customers on track even when the market constantly evolves. The post 2015 is a big year for converged cloud computing market appeared first on RISC Networks. The tech market in Raleigh, North Carolina continues to grow at a steady clip, led by the healthcare IT industry and its continuing need for data analysts, software engineers, and senior architects. The area’s Research Triangle (known by some as simply “The Triangle”) fulfills many of the requirements for solid startup growth, including easy access to Raleigh and Durham, as well as numerous universities. Sciences and healthcare in particular are seeing a lot of innovation, said Adrienne Cole, executive director of Wake County Economic Development. Larger healthcare employers, including Allscripts and Siemens’ healthcare division, have been adding tech positions in the metro area, including some for software engineers. But it’s not just limited to healthcare, or even startups. “Companies outside of tech are adding IT professionals at a greater pace than tech companies in the region,” said Brooks Raiford, president and CEO at the North Carolina Technology Association (NCTA). As the NCTA notes, there are about 254,000 tech workers in North Carolina working for non-tech companies, versus 220,000 workers directly employed by the tech industry. Companies such as MetLife, which has its global technology hub in Raleigh, as well as Deutsche Bank Global Technologies, are actively looking for tech talent, Raiford added. 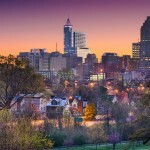 Check out the latest tech jobs in Raleigh. Employers want people with the latest and greatest skills, and they’re willing to pay for it. There’s upward pressure on salaries for the right people. Developers with a minimal amount of experience—three to four years under their belt—are easily commanding $80,000 to $90,000 in pay, noted Sosna. Tech professionals with “in-demand skills” and five or more years of expertise in the field can earn $125,000 to $130,000. Small and new companies without the name-brand appeal are having a challenging time getting the right people. “Startup and mid-level companies can’t always compete with bigger companies, so they’re trying to recruit and retain people by creating the right culture,” Sosna said. That might mean more perks, such as allowing employees to work remotely. The competition for talent is forcing tech companies and companies in other sectors to be creative when it comes to recruiting tech pros. According to a Robert Half Technology survey of Raleigh-area CIOs, employers are upping networking activities and referral bonuses, as well as using additional consultants to fill the gap. The post In Raleigh, Healthcare Tech Remains Job-Driver appeared first on Dice Insights.